We have all seen those giant ripped dudes doing a ton of pull ups at the gym and many of us wish that we could do the same. Many of us think that doing pull ups is nearly impossible because we have to lift up our own body weight over and over again, but the fact of the matter is that they aren’t actually that hard to do. You don’t have to start out by doing a whole lot of them, even just a few is a great start. You can start with a few and slowly work your way up until you are one of those guys showing off your mad skills at the gym. Not only is doing pull ups very impressive but they also have a lot of benefits to be gained from doing them on the regular. Keep reading and find out what the benefits of pull ups are that you may have never thought about! Doing a pull up is indeed a pretty challenging thing, and moreover, if you don’t do them right you may cause more damage than you may wish to know. Follow these simple steps on how to do a pull up in order to do them right, build muscle, and prevent injury to yourself. Jump up and grab onto t﻿he ﻿bar. Just hang from it. Now it is time to clench your abs and start pulling yourself up using your arms until your chest is almost touching the bar. Then raise yourself up higher so your chin is above the pull up bar. Be sure to lead with your chest and keep your shoulders back and low in order to prevent injury. Don’t swing your legs front to back or side to side in an effort to get you up to where you want to be. That may cause injury, plus it’s kind of like cheating. Now slowly lower yourself back down to the initial starting position and repeat until you can’t go anymore. One of our favorite parts about the patented pull up is that they are one of the most convenient exercises that you can do. All you need is a solid bar and your own 2 arms to do them. You can do them at the gym if you have a membership or would like to show off your strength, or if you want you can buy your own pull up bar and do them from the convenience of your own home. Just make sure to get a decent pull up bar or else you might wind up on a YouTube fail video compilation. Even better is that nowadays there are many parks out there that have some good fitness equipment for the public to use for free. Heck, you can even do some pull ups on the monkey bars at your kid’s playground. Another really beneficial aspect of doing pull ups on a regular basis is that they work out several muscle groups at once. This is what we call a compound exercise and if you are short on time compound exercises are the way to go. Pull ups are very efficient because each and every single pull up works out your biceps, triceps, forearms, wrists, grip strength, lats, shoulders, and your core. There is also the fact that each time you do a pull up you are lifting you own body weight, making it one of the best ﻿﻿bodyweight ex﻿﻿ercises out there that has a ton of potential to give you that shredded upper body that you have always dreamed of. You really can’t find an exercise that works out that many muscles anywhere out there. If you want to work out as many muscles at once as you can the pull up is definitely one of the best options. Think about it, to work out as many muscles as pull ups do with non-compound exercises, you would have to do something like 7 different exercises after one another! Instead, a pull up works them all out at once. Talk about efficiency! Grip strength is a very important part of everyday life and so many other things, which is why pull ups are so great. Sure you need good grip strength to actually do a single pull up, but in doing so they also go a long way in training that same grip strength. Think about it, your hands and fingers have to hold up all of your body weight and that serves as better grip strength training than virtually any other exercise out there. Things like baseball, mountain climbing, weight lifting, football, holding up your baby and even opening up a stubborn jar of pickles all require great grip strength. If you want to stop struggling with that pickle jar you should definitely start doing a few pull ups every day. We all know that doing the same workout and the same exercises time after time and day after day can get really boring, so much so that you lose the motivation to keep going. That is something that is awesome about pull ups because there are so many different variations that it is impossible for them to get boring. There is the classic wide gripped overhand pull up, reverse grip pull ups which are also called chin ups, and close grip pull ups too. They are all easy to do with the same equipment so you never need to buy a new bar, plus each of them works out slightly different muscle groups at different levels so you can get the results that you want. For example, reverse grip pull ups or chin ups do a great job at working out your biceps, more so than any other pull up variation. So, if you want those John Cena sized biceps you should start doing some chin ups as soon as possible! Another thing that is awesome about pull ups is that you can easily increase the intensity. Sure the normal pull up is already hard enough as is, especially if you are out of shape, a beginner, or simply haven’t ever tried doing them, in which case a few normal pull ups will be more than enough to make you sweat. However, as you progress you can simply do more reps each time and do more sets too. Then when you really want to turn up the heat you can always strap some sand bag weights to your chest or ankles, wear a weighted vest, or even hang a kettlebell or some dumbbells to your ankles for increased intensity. If you really feel as though you need a challenge you can always try doing one handed pull ups too! When it comes to increasing intensity there is almost no exercise out there that is as versatile as the pull up. The next benefit that you can get from doing some pull ups is that you can lose some weight. To be fair doing pull ups won’t burn as many calories as doing some cardio like running on a treadmill or doing some cycling, but they will definitely burn some calories none the less. If you want to step up the intensity to burn even more calories you can always do more reps, more sets, do them faster, and take less time resting in between. That will definitely get your heart pumping and give your metabolism a boost. It takes calories to exercise and doing pull ups, the last time we checked, is definitely a form of exercise. Plus doing exercise increases your metabolic rate, forcing your body to consume more energy to keep going. That means your body will burn more of the food you eat instead of storing it on your gut, plus there is also your EPOC or exercise post oxygen consumption. Your EPOC, simply explained, means that your metabolism stays boosted for a certain amount of time after you have finished exercising, thus also contributing to fat loss and a lean body. Another big benefit that you get from doing pull ups, as we may have mentioned earlier, is that they work out your back muscles. However having bigger muscles in your back isn’t just for good looks and so you can feel good about being jacked, it actually leads to a much healthier life. Having stronger back muscles means having better posture because you can more easily hold yourself up. People don’t want to see you slouched over! Also, weak back muscles often lead to having back pain, something which nobody wants to have. 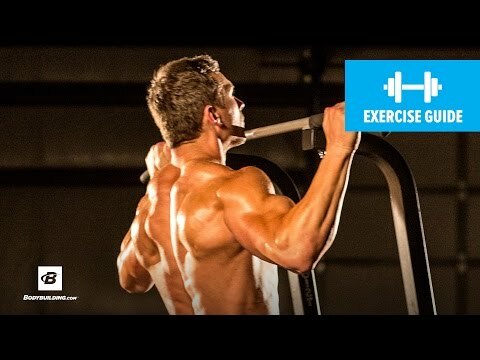 Working out your back through some simple chin ups is an easy solution to all of those problems, plus it will make your life a lot easier because mostly all of the physical exercises you do involve using your back muscles to some degree. Doing pull ups also increases something called your functional strength, which comes from doing compound exercises and getting used to having all of your muscles working together to perform a certain physical activity. Another big benefit of doing pull ups on the regular is that they do actually count as cardio, at least if you do them fast enough! While you may not be able to do pull ups for 30 minutes straight, you can make them a part of a circuit routine and you will definitely get a decent cardio workout. Of course working out your heart is very beneficial to your overall health. A stronger heart leads to having a slower resting heart rate, lower blood pressure, and it helps to prevent heart and artery disease too. Plus there is the fact that a stronger heart allows more blood to be pumped to your body more efficiently, thus giving your muscles more of the oxygen they need to function and ultimately increasing your physical performance. Another thing that doing some pull ups can help you achieve is being happier. Doing any form of exercise causes your brain to release chemicals known as endorphins, of which serotonin is the most important. Serotonin is a feel happy chemical that gives you a sense of elation and happiness, plus it can also help fight mood swings, depression, and anxiety too. Another chemical that gets released in your brain thanks to exercise is something known as an endocannabinoid, which is something that makes you feel happier, more relaxed, and also contributes to feeling less pain. Now, this may not be exactly the most important benefit, however it’s something that we definitely like. The fact of the matter is that doing a whole lot of pull ups is very impressive. Those big monsters at the gym won’t look down on you anymore, at least not quite as much. Plus the ladies love seeing strong men with big arms too. You will look better and feel better, something that the people around you will definitely notice! If you have not already tried doing a few pull ups you should probably get on it. There are so many benefits of pull ups that it’s really not worth not doing them. Stronger arms, a stronger back, and a stronger core are just some of the few things that they can do for you, not to mention they contribute to cardio health and weight loss too. They are simple to do and pretty fun too. Any questions or comments you may have about them are more than welcome!